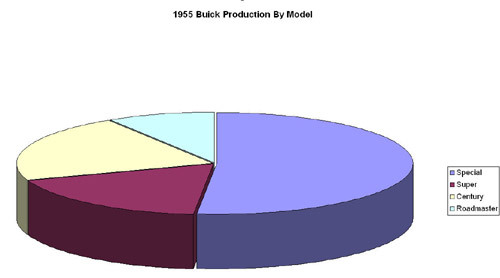 Buick had an amazing production run in 1955. They produced 738,814 automobiles - the most for one year in the entire history of Buick. This number was not to be beaten until 1973 when Buick produced 821,165 automobiles. 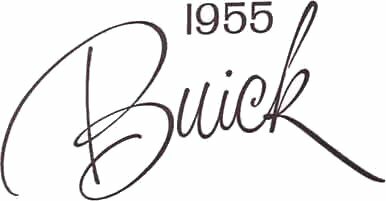 In 1955, Buick was the number 3 automaker behind Chevrolet with 1.7 million cars and Ford with 1.4 million. 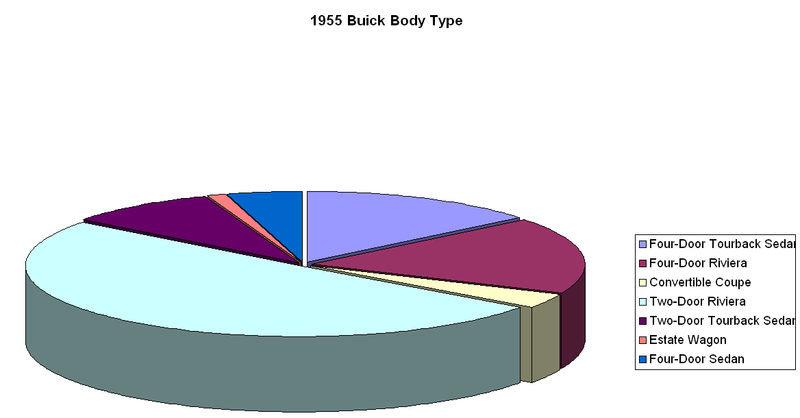 If you were to count just Buick Specials produced in 1955, 381,946 units, they would have been ranked 6th ahead of Mercury, Dodge, Chrysler, Cadillac, Studebaker, and DeSoto.